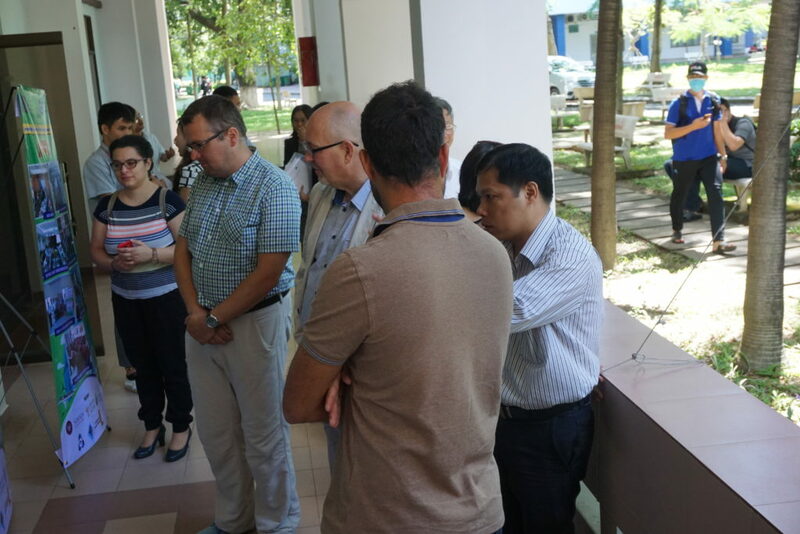 Attending the Conference was Prof. Lucjan Chmielarz and Prof. Pawel Miskowiec from Jagiellonian University – JU (Poland), Dr. George Konstantinou from the University of Cyprus (Cyprus), Prof. Nguyen Danh Thao – Vice-Rector of Ho Chi Minh City University of Technology, Prof. 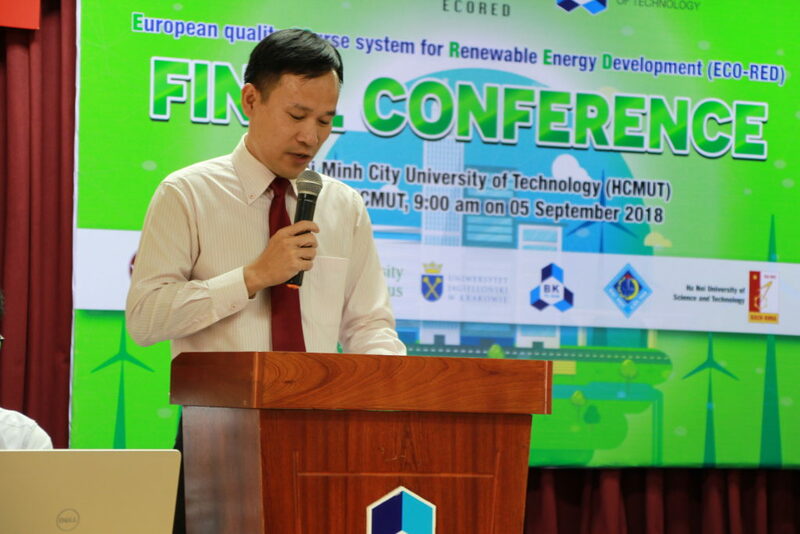 Le Thi Kim Phung, Director of External Relations Office – HCMUT, representatives from SolarBK, Vietnam National University – HCM, other universities as well as lecturers and students of HCMUT. 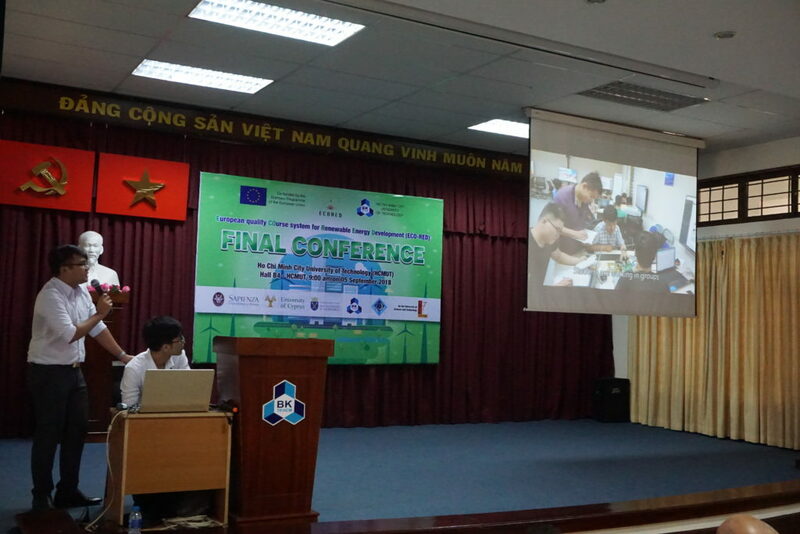 The ECORED Final Conference allowed the meeting among project members and stakeholders to promote the next ECORED course editions and spreading the use of renewable technologies in the future. After opening session, Dr. George Konstantinou from Cyprus representing European institutions presented an overview of ECORED project’s activities and its achieved outputs. 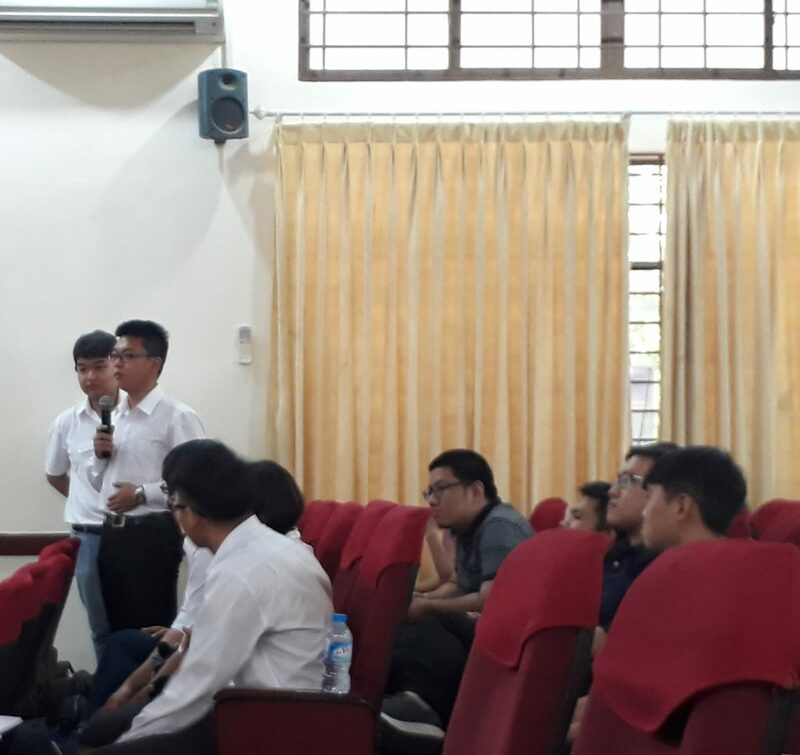 Later, SolarBK as an industrial representative also explained about the energy potential in Vietnam and career opportunities in the field of renewable energy. 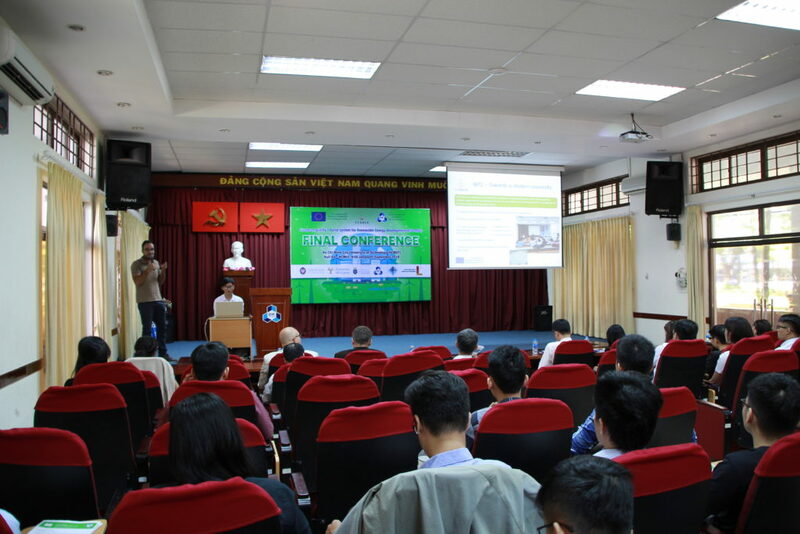 During the Conference, students had opportunities to share their experiences in participating in ECORED Project . The students expressed their appreciation to the project for helping them improve necessary knowledge about energy-related topics such as energy audit, energy efficiency, the process of producing biofuels, solar system, wind energy etc. through 5 modules of ECORED delivered in presence at HCMUT as well as through laboratory visits and five-week intensive courses in Europe. A poster exhibition was also arranged for the participants to review and have a general picture of key activities during the project lifetime. 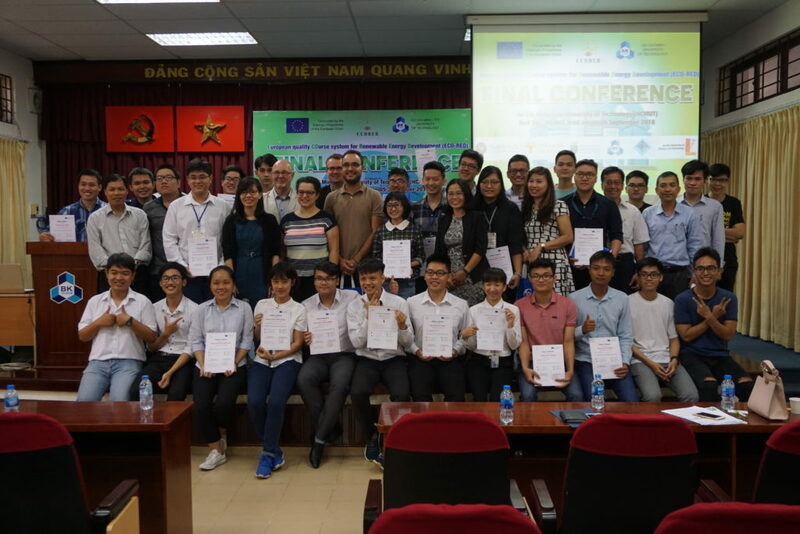 The Conference was concluded by presenting related certificates to students participating in the project. 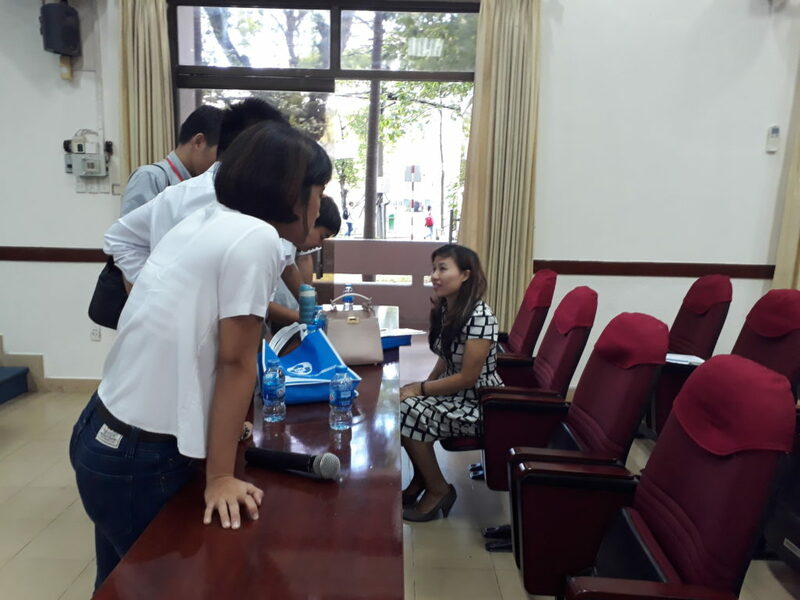 SolarBK also spent time consulting HCMUT students on their recruitment programme in renewable energy in the final session. 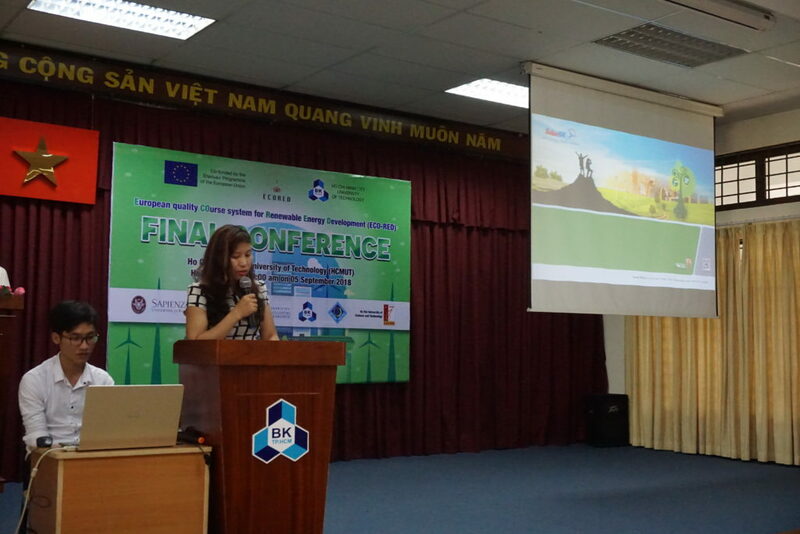 Ms. Tran Thi Tinh from Talent Management Department of SolarBK remarked that the completion of one to five courses in renewable energy within ECORED project would give a candidate a plus and priority during the company’s recruitment process.